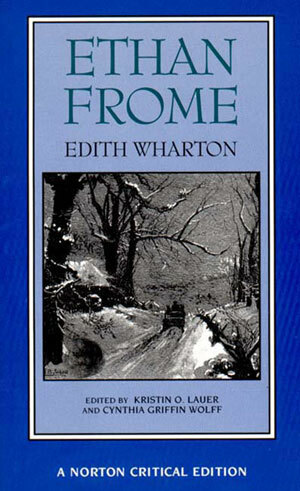 Ethan Frome - Description | W. W. Norton & Company Ltd. This Norton Critical Edition of Edith Wharton's celebrated novella is based on the first edition, published by Charles Scribner's Sons in 1911. It is fully annotated for undergraduate readers. "Backgrounds and Contexts" includes a rich selection of materials, some previously unavailable, for the study of contemporary psychological, social, and economic issues, as well as Wharton's private correspondence and writings and biographical accounts of the author. Arranged under two headings, "Criticism" reveals Ethan Frome's impact as both a literary work and a social commentary. "Contemporary Reviews" consists of eight prominent assessments of Ethan Frome, including reviews from the New York Times Book Review, Outlook, The Nation, the Saturday Review, and those penned by Frederic Taber Cooper and Elizabeth Shepley Sergeant, among others. "Modern Criticism" (1956-1991) includes seven interpretations of the novella by Lionel Trilling, Elizabeth Ammons, Judith Fryer, Jean Frantz Blackall, Lev Raphael, Candace Waid, and Cynthia Griffin Wolff.